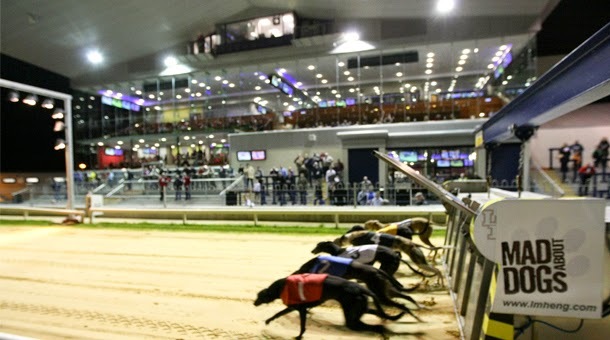 The quarter-finals of the 2015 Con & Annie Kirby Memorial Puppy Stake provided four action packed heats that truly had everything to entertain even the most race hardened greyhound enthusiast with yet more shock eliminations, brilliant performances and one admirable achievement by the Robert Gleeson trained Droopys Braedon when protecting his unbeaten career record by landing heat 2 with a dominant trap to line display, recording his fastest time of 28.35. Droopys Braedon arrived at Limerick to contest a 48 runner A3 stake in January having scored an A6 debut success at Shelbourne Park. 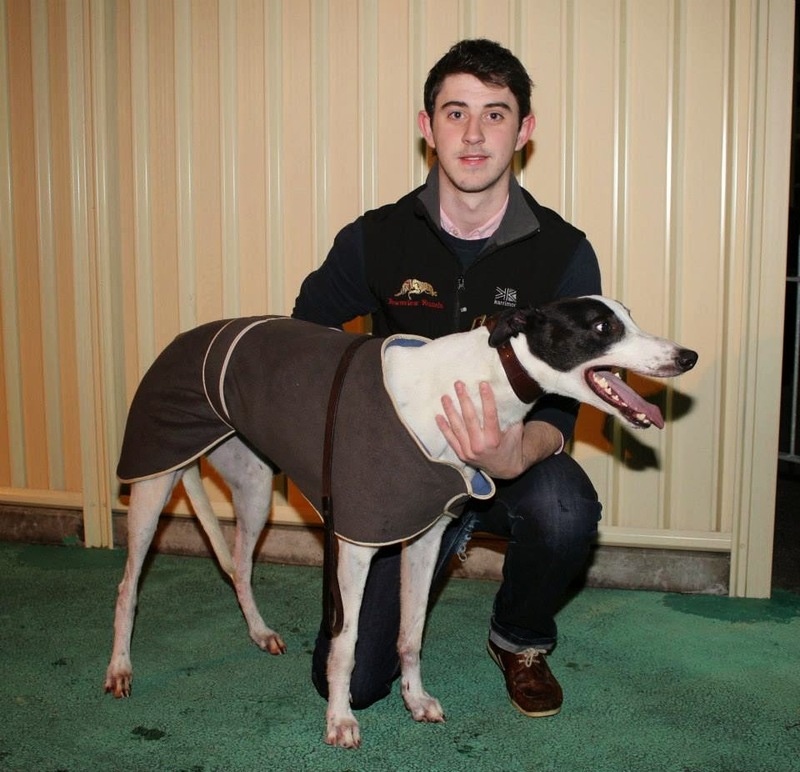 With the Kirby an obvious target at that stage, he announced himself as a serious contender when clocking 28.56 on his Limerick debut and followed that win with 28.38 and 28.50 in two subsequent heat victories. His withdrawal from that A3 final to fine tune his Kirby preparations now looks a smart decision as he returned in sparkling form and has scored a hat-trick of heat wins when hardly seeing another rival following slick starts in each round. There can be no doubt that the red jacket has helped his cause along the way but when an early pacer posts breaking splits of 1.18 and 1.19 it lends one to believe that he might well cope in any draw. Michael Keenan with John Boyle`s 2014 HERO! Breaking fast from trap 1 last week he comfortably led on the run to the opening bend where he was followed into the back-straight at a three length deficit by Beaming Boost with Boylesports Jet (ex Hoodwinked) a further one and a half lengths back in third. Braedon maintained his advantage to the third bend but by now Boylesports Jet had drawn alongside Beaming Boost with a menacing challenge having shown exceptional back-straight pace. The chasing pair had closed to a length and a half entering the home-straight and the winner was all out to repel the powerful and impressive late thrust of the new John Boyle recruit by three quarters of a length in 28.35 with Pat Buckley’s Beaming Boost just a half length further back in third place of what was a wonderfully talent laden “Kirby” heat. The opening heat of the night promised a big clash between strong outright fancies Ballydoyle Honey and fastest round 2 winner Coolavanny Jap but that scenario would not materialise as Patrick O’Connor’s Pale Moon broke well from trap 2 and defended his rails pitch at the first bend for a back-straight lead that would see him safely home in 28.71. He was slipstreamed at the first bend by the clever Boherna Pedro from trap 1 and Liam Dwan’s powerhouse again showed big pace from the second turn to reduce a two length deficit to the minimum short-head at the line. There was misery behind the leading pair for supporters of the favourites with Ballydoyle Honey unable to gain clear racing room at the bend despite breaking on terms from trap 3 but it was much more disheartening for connections of Coolavanny Jap who had seemed safe when managing to secure third place off the second bend. He flew on the back-straight to range alongside Boherna Pedro at the third turn but in a minor brush between the pair, completely lost his action and was shuffled back lengths, costing him a possible win chance but more pertinently cost him his qualifying place, leaving Cable Bay to benefit when a three length third. Our third quarter-final then saw Neilus O’Connell’s Fastaway Jayfkay score his first heat win of the event with an impressive early paced display. He just made the bend in front with a length to spare and swept to a commanding advantage on the back-straight when galloping the turns sweetly. He held a seven length margin over Country Legend who used his trap 1 draw to good effect for a clear run and made a late bid for glory when staying strongly. Reducing the leaders advantage with every stride he just failed to mow him down when a neck second in 28.73. Liscahane Royal emerged best from bumping between the remaining runners to take third where both Go Django and Ring Ben lost there chances when knocked over at the opening bend. Two unbeaten stake runners lined up for battle from opposite draws in the concluding heat where Rachel Wheeler’s Cunning Barney and Graham Holland’s Rural Hawaii treated patrons to an absolute thriller. The former made just about the best start and held a slight advantage on the run to the bend with a crucial rails pitch from trap 1. Rural Hawaii had a half length to make up after his moderate start from trap 6 but showed brilliant early pace to draw alongside Barney on the outside and forged a half length advantage entering the back-straight. He had stretched to a length and a half by the third bend but offered Cunning Barney the inside line when charting a middle course and the Wheeler charge took full advantage to draw level entering home-straight. A thrilling buckle saw the pair locked in a protracted battle all the way to the line with Rural Hawaii prevailing by just a neck in a smart 28.45. Impressing once again when chasing these home in third was Noel Hehir’s Ivy Hill Bart. He held strong against slight crowding at the turns and showed all the pace of the leading pair thereafter when going down by less than two and a half lengths. Our opening semi-final will for the first time see Cunning Barney contest a Kirby heat without the benefit of the red jacket but his trap 3 berth would appear to offer a highly plausible claim for another rails run at the opening bend as he can outpace those on his inside. The key to victory for the Rachel Wheeler runner will be fending off the attentions of Pat Buckley’s Beaming Boost in trap 4. 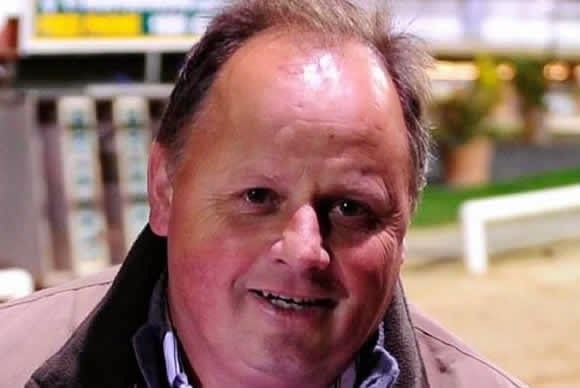 Leger winning trainer Pat Buckley can get Boost from Beaming! Droopy draw can bring excellent eight! There was groans from connections of every other remaining runner at the live semi-final draw last week when the unbeaten Droopys Braedon again secured a rails berth in trap 1 for our second semi-final and one can clearly see why! Attempting to end his unbeaten streak would take a monumental effort in any situation but his current form combined with his ideal draw almost makes him unopposable now. He can dominate the early exchanges, lead on the back-straight and most likely last home which leaves just two qualifying places for our remaining five contenders. Draws win races and Trap 1 is ideal for Breadon! Did you know you can create short urls with AdFly and earn cash from every visit to your shortened links.